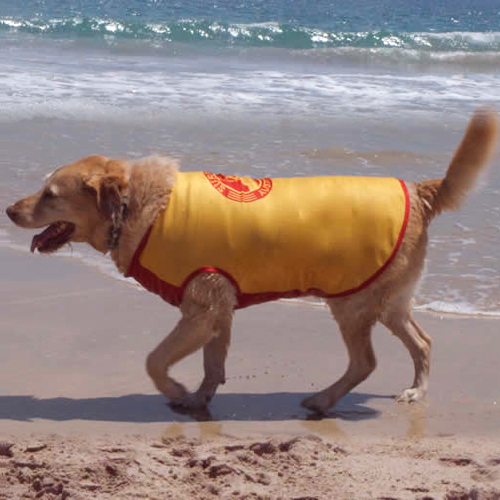 SurfDog Australia's Furguard Rasher for dogs provides protection from harsh UV rays. 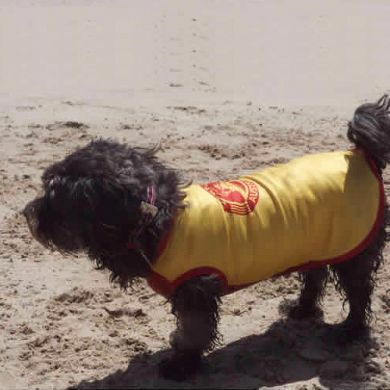 It's also great for helping to keep your dog's coat free of sand, and for for those that love it beach, it helps you to spot your dog out in the surf! Manufactured by a well known human rashguard company, using the same protective lycra, SurfDog Australia designed the dog rasher to fit snuggly around your best mate. 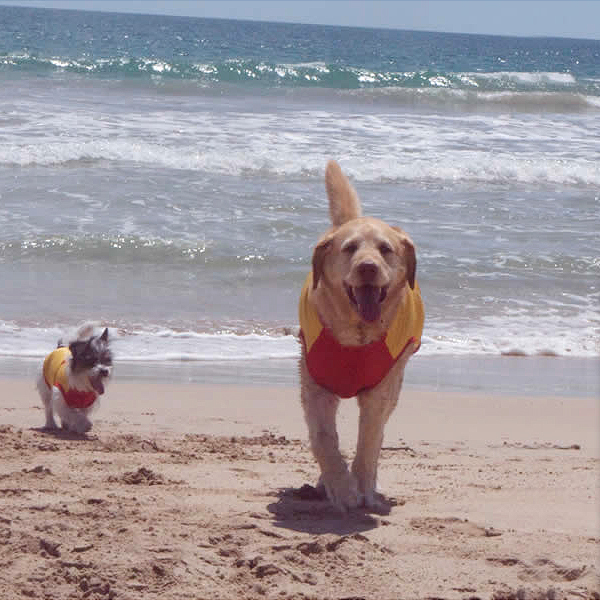 There are no sleeves, as they are constricting and our in product test they found that the dogs hard to leap through the surf with sleeves. It also helps with the fit for some of our rather unusually shaped customers! 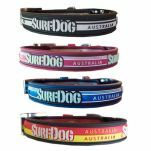 The SurfDog Dog Rasher is easy to slip on and once in place your dog won't even notice it's there. To choose a size, measure your dog from collar to tail base, and if you have a long skinny dog go for a smaller size! You want a nice snug fit. Easy to keep clean. Just like a human rasher, just rinse it in cold water and hang out to dry out of direct sun. I use this product every day on our whippet. He is mostly white and loves sunbathing. As a result there was a patch of damaged skin from the continuous burning. I had tried sunscreens and zinc, but he would either lick them off or slide around the lawn on his belly to wipe it off. Read 4 customer reviews of Surf Dog Australia Furguard Dog Rasher Sun Shirt. The average customer rating is 4.5. Since I received the rash shirt, Cruiser wears it every time she goes swimming. 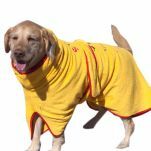 She loves it as it does not restrict her swimming in any way, and it is nice lite. She swims nearly two to three times a day nearly everyday and this rash shirt is ideal. Just rinse after every swim or I chuck in the washing machine every two to three days. Audi and easy to dry. 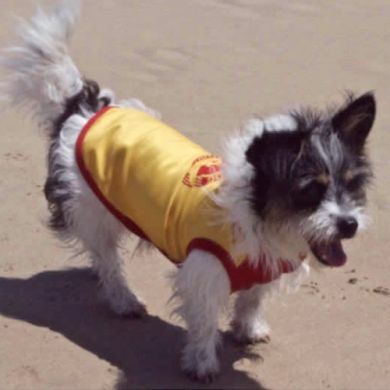 The rasher sunshirt fits just as described and looks good on Cooper too. He will get a lot of use out of it as we go to the beach daily.